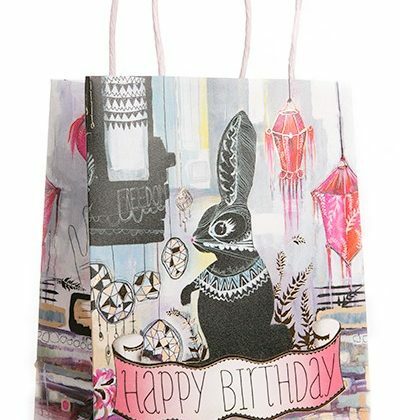 Decorative Gift Bags measure 10″ tall, 7.75″ long, and 4.75″ wide. Made of high quality, textured paper. Featuring beautiful PAPAYA! artwork with foil embellishments.